MURRAY, ANNE (Powell), gentlewoman and author; b. 26 April 1755 in Wells, Norfolk, England, daughter of Dr John Murray and Mary Boyles; m. 3 Oct. 1775 William Dummer Powell*, and they had nine children of whom two survived her; d. 10 March 1849 in Toronto. Anne Murray’s father was a Scottish physician who moved to England and in 1768 began to practise in Norwich. When his sister Elizabeth visited him the following year, he was struggling to support a large family. Elizabeth Murray had immigrated to North America in 1739 with her brother James and had become a successful shopkeeper in Boston. Her second husband, a wealthy Boston distiller, had recently died. Rich and childless, Elizabeth offered to take responsibility for Dr Murray’s three eldest children, John, Mary, and Anne. John and Mary were sent to Boston, and when Elizabeth returned to America in 1771, she took Anne with her. Anne had been educated in Fakenham and at Mrs Palmer’s boarding-school in Norwich, but her aunt thought that this only prepared girls for “the gay seens of life.” An unusual woman for her time, she believed in the importance of practical business training, and she established Mary and Anne in a millinery shop in Boston. Mary looked after the shop and accounts while Anne, according to her aunt, was “very industerous at her needle.” When Mary returned to England in 1774, a homesick Anne became the shop’s manager, a position for which she was totally unfitted. She was miserably aware of a milliner’s low social status, and this “loss of Caste” remained a bitter memory all her life; as an old woman she recalled the “irreparable humiliation” of these years. Despite her feelings of inferiority, Anne Murray moved freely in Boston mercantile society, where she met William Dummer Powell, the son of a prominent merchant. William and Anne reached a secret understanding by the time that William’s loyalist activities made it advisable for him to leave America. Anne’s aunt reluctantly approved their marriage in 1775, but her parents’ permission was not obtained. William did not even ask his father, because, as he later wrote, “there was little probability of consent.” They were married immediately before sailing to England; this was called an elopement in Boston, and by William himself. The young couple lived in Norfolk and London while William studied law. 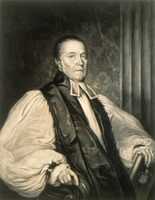 In 1779 he went to Quebec, leaving his wife and three sons at Norwich; the following year Anne joined him in Montreal, where he had established his practice. She moved frequently in the next 18 years, following the vagaries of her husband’s career and ambitions. She lived in Montreal (1780–83), Boston (1783–84), North Yarmouth, Mass. (1784–85), Montreal (1785–89), Detroit (1789–91), England (1791–93), Detroit (1793-94), and Newark, later Niagara-on-the-Lake (1794–98). Finally the Powells moved to York (Toronto), where Anne spent more than 50 years. During her travels Mrs Powell became preoccupied with the importance of social status and strict decorum, despite (or perhaps because of) her milliner’s past and the impropriety of her marriage. As the capital of Upper Canada, York had from the beginning pretensions beyond its size and a fixed social hierarchy. When Mrs Powell arrived, her husband was a judge, so that her social position was high. Gradually the “vast propriety,” which Thomas Aston Coffin* had ascribed to her, and her inflexible morals made her the town’s social arbiter. In 1807–8, for instance, she successfully challenged Lieutenant Governor Francis Gore* himself when he tried to rehabilitate an outcast, Mrs John Small, publicly accused of adultery. In an age when social status had a strong influence on opportunity and success, Mrs Powell’s power was very real. Like society, government was “aristocratical” to Mrs Powell; she equated political opposition with low origins and unseemly behaviour. In her early years in Upper Canada she had thought of herself as an American, but the War of 1812 made her vehemently British. She abhorred those who opposed the government, from Robert Thorpe, “an object of contempt & disgust,” to the “Arch fiend” William Lyon Mackenzie*. 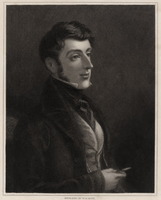 Robert Baldwin* was “a good moral character, but a decided Radical”; his cousin Robert Baldwin Sullivan*, on the other hand, was “of low origin and . . . profligate habits.” As with other high tories, her post-rebellion villains were the governors-in-chief themselves – “the false traitor Lord Durham [Lambton]” and “the little great Man,” Lord Sydenham [Thomson], with his “meanness and tyranny.” The “Arch enemy,” however, was John Strachan*, whom she blamed for all her husband’s misfortunes in Upper Canada. 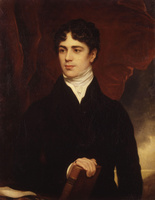 When Powell became chief justice in 1816 his wife’s position was enhanced, but her social supremacy did not survive the scandal associated with her daughter Anne*. In her girlhood Anne Powell was much admired. With her mother’s approval she was courted by a “wealthy young Merchant Miller,” but after “a long & earnest suit” Anne rejected him. Mrs Powell herself rejected another suitor, “that animal St. George [Laurent Quetton* St George],” probably because of his profligacy. After an abortive romantic involvement with John Beverley Robinson*, Anne’s behaviour became more and more eccentric. She had many violent altercations with her mother, often over the control of Mrs Powell’s two granddaughters who lived with them. By 1820 Mrs Powell was convinced of her daughter’s insanity, and wanted to establish her somewhere away from home, “but I have every reason to think she will not separate herself quietly from the family, and the Idea of compulsion sickens me.” In 1822 Anne fled her parents’ house in pursuit of Robinson and his wife, and died in a shipwreck off Ireland. The facts, rumours, and innuendoes of the tragedy brought disgrace to the family, and Mrs Powell withdrew from society. In 1825, when her husband’s political difficulties ended his judicial and administrative career, the Powells wanted to leave the colonies. Mrs Powell joined her husband in England in 1826, not intending to return. She had become embroiled in controversy with some of her family over a legacy from her aunt Elizabeth, and an indiscreet letter she wrote to Upper Canada created a lasting breach with most of her English relatives. Because of their “ebullitions of malevolence,” the Powells came back to York in 1829, where they lived quietly while Powell’s mental powers declined. 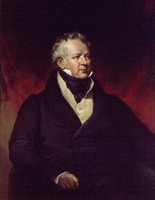 After his death in 1834, Mrs Powell remained in her old home with her unmarried daughter Elizabeth. Deaf and crippled with rheumatism, she rarely went out, but various other members of her family lived with her for extended periods. She was still concerned with charitable activities and with the welfare of her descendants, although she was increasingly out of touch with their world. In her old age, Mrs Powell faced “unalterable infamy and disgrace” within her own family. One of her granddaughters, Elizabeth Van Rensselaer Powell (Mrs John Stuart) was divorced for adultery – the first divorce in Upper Canada. 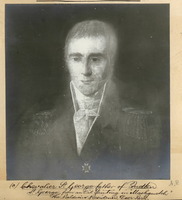 In the necessary preliminary to parliamentary divorce, her husband sued her lover, Lieutenant John Grogan, and in November 1839 was awarded more than £600 damages and costs. Grogan was thus forced to sell his commission. The divorce bill was passed by the Upper Canadian legislature in February 1840, shortly before Mrs Stuart gave birth to “another victim to her depravity,” but was reserved for royal assent. When it became law in June 1841, the lovers married immediately and left the province, returning the following year. Mrs Powell’s sympathies were entirely with the deserted husband and children; she never forgave her “wicked” granddaughter, and was furious when the Grogans attempted to re-enter society in Kingston. Throughout her long life, Mrs Powell was an inveterate writer of letters. More than 700 of them have survived. The early ones were to friends near Boston, but the bulk of her correspondence was with her brother George, of New York, and her husband, who was frequently absent on circuit and on trips to England. She wrote frankly about every detail of her life, family, and community. Never lukewarm in her opinions or their expression, she described such things as the seven-foot geraniums flanking the piano in her drawing-room, the totally unexpected birth of a baby to an unmarried servant in her employers’ bed, the excitement of enemy invasion in 1813 and armed rebellion in 1837, and the “system of wrong and Robbery” embodied in the 1839 Clergy Reserves bill. Although she was an outstanding woman in early Toronto, she is equally important as a recorder of life among the élite of Upper Canada. A portion of Anne Powell’s voluminous correspondence has been published under the title “Letters of Mrs. Wm. Dummer Powell, 1807–1821,” ed. Janet Carnochan, Niagara Hist. Soc., [Pub. ], no.14 (): 1–40. AO, MS 537; MS 787; MU 843. Library of Congress, ms Division (Washington), Christian Barnes, letters. Mass. Hist. Soc. (Boston), Paul Revere papers; J. M. Robbins papers. MTRL, S. P. Jarvis papers; W. D. Powell papers. PAC, MG 23, Hl, 4; 8. Private arch., K. M. J. McKenna (Kingston, Ont. ), Research files and draft phd thesis (Queen’s Univ., Kingston, in preparation). James Murray, Letters of James Murray, loyalist, ed. Nina Moore Tiffany, assisted by S. I Lesley (Boston, 1901). Town of York, 1793–1815 (Firth); 1815–34 (Firth). York, Upper Canada: minutes of town meetings and lists of inhabitants, 1797–1823, ed. Christine Mosser (Toronto, 1984). N. F. Cott, The bonds of womanhood: “woman’s sphere” in New England, 1780–1835 (New Haven, Conn., 1977). K. M. J. McKenna, “Anne Powell and the early York elite,” “None was ever better . . .”: the loyalist settlement of Ontario; proceedings of the annual meeting of the Ontario Historical Society, Cornwall, June 1984, ed. S. F. Wise et al. (Cornwall, Ont., 1984), 31–43; “Options for élite women in early Upper Canada: the case of the Powell family” (paper presented to the CHA annual meeting, Winnipeg, 1986). M. B. Norton, “A cherished spirit of independence: the life of an eighteenth century Boston businesswoman,” C. R. Berkin and M. B. Norton, Women of America: a history (Boston, 1979), 48–67. W. R. Riddell, The life of William Dummer Powell, first judge at Detroit and fifth chief justice of Upper Canada (Lansing, Mich., 1924). R. J. Burns, “God’s chosen people: the origins of Toronto society, 1793–1818,” CHA Hist. papers, 1973: 213–28. W. R. Riddell, “The first Upper Canada divorce,” Bench and Bar (Montreal), 2 (1932), no.3: 8, 10. 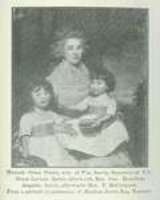 Edith G. Firth, “MURRAY, ANNE,” in Dictionary of Canadian Biography, vol. 7, University of Toronto/Université Laval, 2003–, accessed April 24, 2019, http://www.biographi.ca/en/bio/murray_anne_7E.html.